The third edition of Made In Nigeria Shoe Expo (MINSE 3.0) is scheduled to hold at the Federal Institute of Industrial Research (FIIRO), Oshodi, Lagos, from Friday, November 24 to Saturday, November 25, 2017. The good news about this upcoming event is that everyone’s invited. 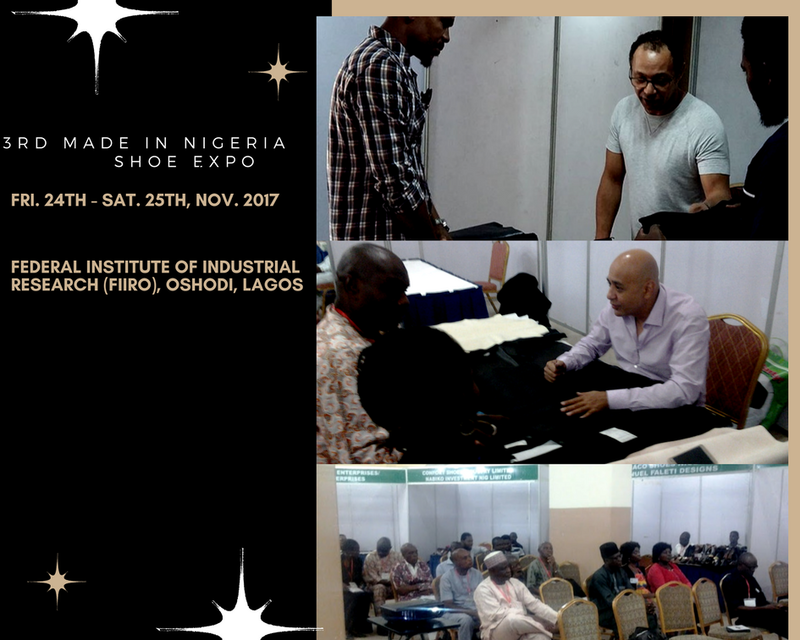 Themed Sustainable Futures: Scenario Analysis for the Local Footwear and Leather Industry by 2030, the footwear and leather fair is targeted at improving the fortunes of Nigeria’s multi-billion footwear and leather industry. The footwear and leather industry in Nigeria is the largest contributor to the nation’s Gross Domestic Product (GDP) apart from the Non-Oil Sector, making it a place where massive investment opportunities can be harnessed. The initiative aims at creating the necessary visibility for local brands in Nigeria by placing local manufacturers across the entire footwear and leather value chain on the global map. 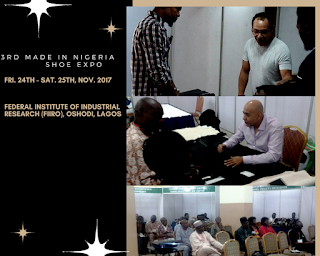 To do this, the expo aims to create exposure and visibility for Made in Nigeria footwear and leather products by our local designers and producers, educate local manufacturers on the current dynamics of doing business in Nigeria’s footwear sector, identify alternative raw materials for footwear products and accessories readily available locally, and identify plausible strategies to instill quality compliance with manufacturers in the sector. The Expo, which will feature masterclass sessions on to finance, branding, packaging essentials for the footwear and leather industry, customer relationship management and entrepreneurship, will also look to build capacity of local finished leather goods producers to compete locally, increase her domestic market share from a meager 10%, and expand export capacity for finished leather goods. Over 2,000 visitors are expected at the expo, including shoe enthusiasts, working-class professionals, members of trade bodies, representatives of trade in embassies and industry stakeholders. 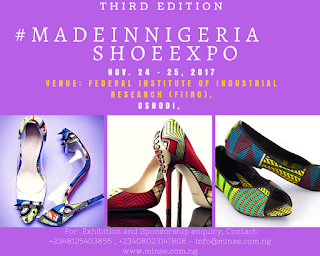 Exhibitors comprise manufacturers of original footwear equipment; footwear and leather training institutes; leather processing firms; government ministries’ departments and agencies; shoe designers and manufacturers; producers of finished leather goods (bags, belts, shoes etc. 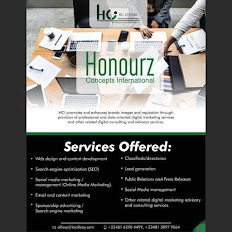 ), producers of leather antiques and craft, producers of fabric shoes, providers of ancillary services such as packaging firms; online retail outlets, transport and logistics firms amongst others.